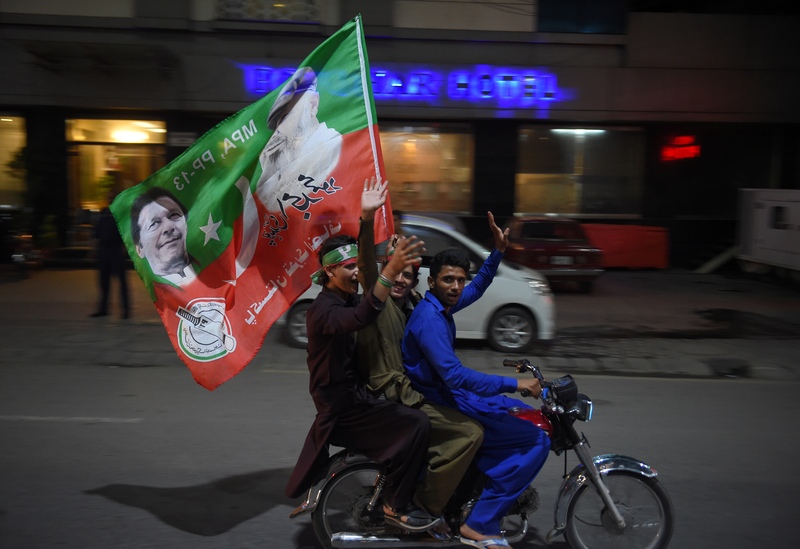 ISLAMABAD -- Pakistan Tehreek-e-Insaf (PTI) continued talks Monday (July 30) with independents and small parties to form a coalition government after a resounding triumph in Pakistan's general election. 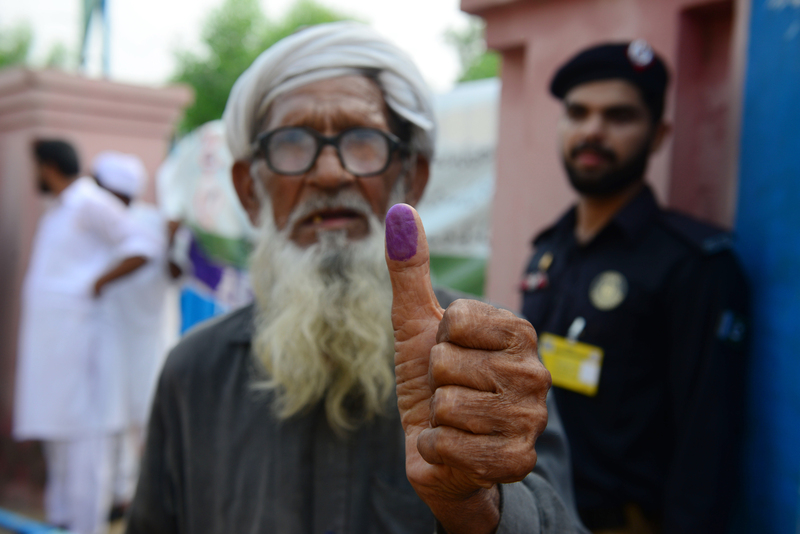 PTI, led by Imran Khan, won 116 seats in the July 25 ballot, short of the 137 needed for a simple majority. The National Assembly has a total of 342 seats, of which 272 are directly elected. PTI has begun reaching out to potential coalition partners to form a government, according to party spokesman Fawad Chaudhry. "We expect that Imran Khan will take the oath as prime minister before August 14," PTI representative Naeem ul Haq told reporters Saturday. Haq's comments followed an announcement by rival parties a day earlier vowing to launch a protest "movement", as more than a dozen parties calling themselves the All Parties Conference (APC) promised to protest the results. The two major parties -- Pakistan Muslim League-Nawaz (PML-N) and Pakistan Peoples Party (PPP) -- rejected a boycott of parliament, opting instead to take an opposing role in the legislature and to form a "co-ordinated joint strategy," Dawn reported Monday (July 30). The agreement was reached Sunday (July 29) during the first direct meeting between PML-N and PPP leaders after the July 25 general elections. Meanwhile, Afghan President Ashraf Ghani Sunday congratulated Khan on his victory. "I just spoke to @ImranKhanPTI and congratulated him on the victory in parliamentary elections. We both agreed to overcome the past and to lay a new foundation for a prosperous political, social and economic future of both countries #Afghanistan and #Pakistan", Ghani tweeted. Ghani also said he extended an open invitation to Khan to visit Kabul. Please tell us when will the Matriculation result be announced?